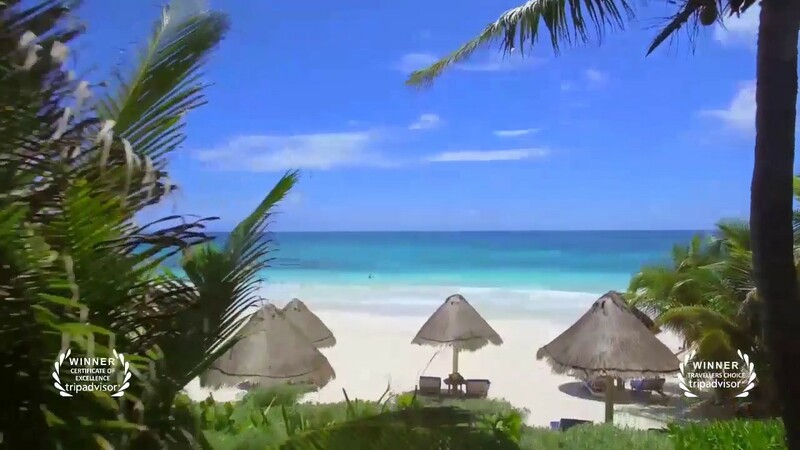 Tulum, part of the Mayan Riviera, is a truly mystic and magical place, preserved in Mayan culture and history, situated between the Sian Kaan biosphere reserve and the nearby Mayan Ruins of Tulum. Whether in the coziness of your private deck, on your sunbed on the pristine white beach, or in our restaurant, the Encantada Restaurant team will prepare the most exquisite typical Mexican and Mayan specialties for breakfast and daytime snacks. Our bar team will also prepare bespoke or classic juices and cocktails to help you relax in this piece of paradise. Comes nighttime, enjoy the mystic warmth of our jungle restaurant NÜ Tulum, just across the street from Encantada or in room service. The passionate Chefs team led by Cesar Castañeda will enchant you with Mexican contemporary cuisine. "Beautiful location with familiar atmosphere and very friendly staff! Worth to stay! Upper beach front apartments highly recommended. Clean room, nice breakfast and a very good hotel-owned restaurant just across the street." Third Visit to Encantada, Amazing as Always! "We just can't say enough good things about Encantada..."special" is a good start but doesn't begin to capture how we feel about this place! All I can say is, we all had post- trip blues upon our return home, and we can't WAIT to get back!" "I am having withdraws of this place and Tulum, I needed a getaway and this was so amazing in so many ways. The staff, the food, the rooms, the noise of the ocean... it was all a dream. I cant wait to come back. you guys are amazing and give a true definition to customer service." "Encantada is a dream. Every single staff member takes genuine pleasure in ensuring guests have the best stay possible. They are attentive, kind, and exude a familial warmth that makes you feel right at home."